Shopping for Sesame Street Holiday Decor? Add some Sesame Street to your holiday cheer! 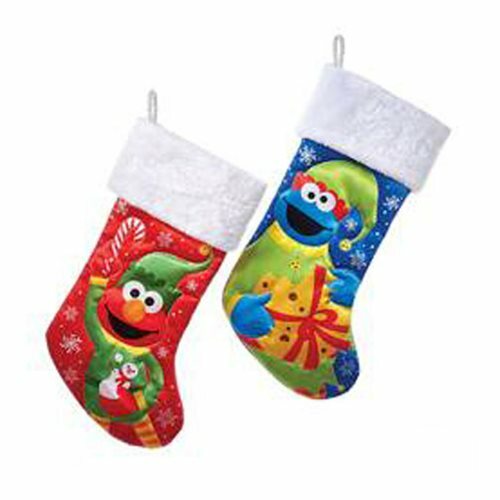 This Sesame Street Elmo and Cookie Monster Stocking Set features the the two characters each on their own stocking and dressed in festive Christmas garb. Each stocking measures 19-inches tall. Ages 14 and up.